If you are protestant, you may not know it, but today is Pentecost Sunday. It is about 50 days after Easter, and on this Sunday Christians all over the world celebrate the day of Pentecost, where Christ’s disciples were given the power Jesus had promised to them. And the world was forever (literally) changed. 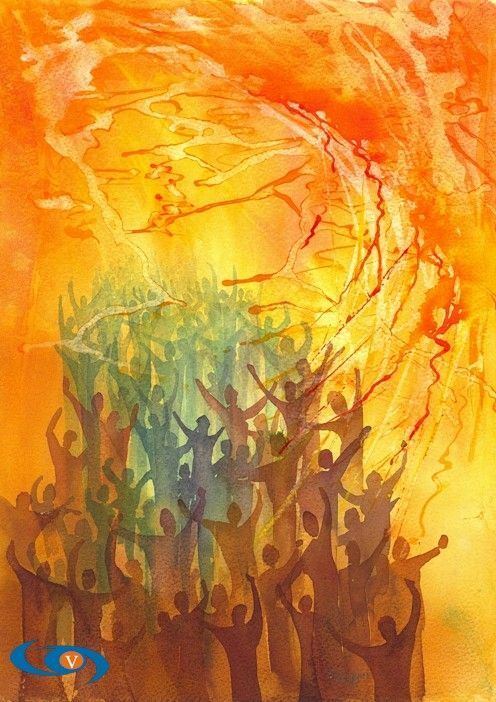 The day of Pentecost marks the beginning, or the birth, of the church, God’s people, predestined by the Father, redeemed by Jesus’s sacrifice, and marked by the filling of the Holy Spirit. On this day, I want to share a two quick observations about this time, and its significance to me. 1. God will build his church. As a church planter, I cannot express to you how frequently I am tempted to think, act, and pray as though it is my job to build God’s church. That temptation easily overtakes men in my vocation, because we can easily blend our task of organizing and equipping God’s people with God’s promise to multiply His people. When I look at people in my community, I see sheep without a shepherd. The danger is when I move from compassion to action, because no action of mine will ever save anyone. Instead, I should look to the disciples as my standard. Even when I am fully confident of my calling and the needs of those around me, our job is to pray and wait upon the Lord. Because when he begins moving, the world begins changing. 2. God’s power > My action. Every. Single. Time. The disciples walked with Jesus, ate with Jesus, shared the same rock/bed with Jesus, and experienced the miracles of Jesus. But when Jesus left, he commanded them to wait. He gave them the most important mission the world has ever known – Go into all the world and baptize everybody, teaching them to be like me – and then told them to relax for a bit. The reason for waiting is simple. God was sending the Holy Spirit on the day of Pentecost, and anything they did before they received God’s power was pointless. God’s power trumps our work every time. I think our desperation to do stuff comes from a good place, like when my four year old son brushes his teeth by himself. I walk in and see about a month’s worth of toothpaste squeezed out on the counter, water dripping from every solid surface in the room, and my proudly smiling son standing in the midst of it all. He worked hard to please me. But it would have been much easier, and I would have been equally pleased had he asked for my help in the first place. The disciples did not need a discipleship strategy, a three pronged outreach focus, or a solid digital presence (maybe this is more for myself?). They needed God’s power. On this day of Pentecost, some 2,000 years removed from the day God launched his first church plant, I feel only grateful for the simple promise Christ gave along with the most important mission the world has ever known. “I will be with you always.” That was no Hallmark sentiment. Jesus made a declaration of war and sent out his army fifty days later, armed with some pretty serious firepower!